Give back to the community with Project: VISION at its 2010 Fall Soirée & Silent Auction from 7 p.m. to 9 p.m. Saturday, October 23 at Mars Gallery, 1139 W. Fulton Market, Chicago 60607. 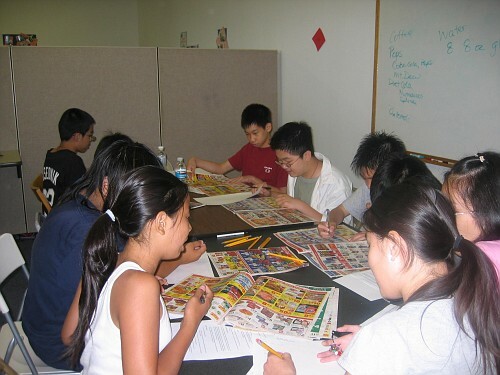 Project: VISION helps better the lives of youth in the Bridgeport and Chinatown areas of Chicago and hosts fundraising events along with collecting donations and coordinating volunteers. Tickets are $30 in advance and $35 at the door. Press here to purchase tickets. Bid on a wide variety of silent auction items with a drink and appetizers in hand. Silent auction items range from sports packages to jewelry, and tickets to shows. If you cannot attend the Fall Soirée & Silent Auction, but would like to volunteer to help out needy children, press here. Project: VISION is a non-profit organization that provides necessary educational, professional, personal, interpersonal and civic development and support to youth in the Bridgeport and Chinatown areas of Chicago. To learn more, visit www.projectvisionchicago.org or call (312) 808-1898. Become a fan of Project: VISION on Facebook and follow them on Twitter.